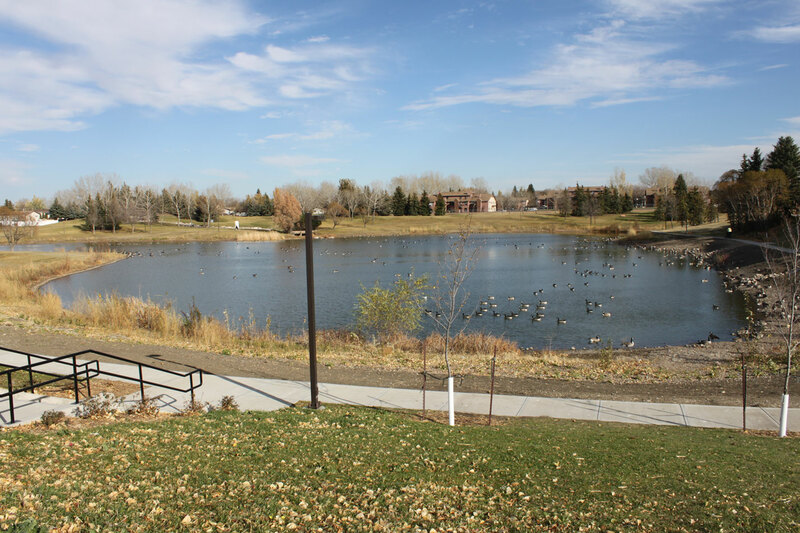 The Rochdale Park neighborhood is in the North end on the West edge of Regina. Rochdale Park is bordered by the Maple Ridge neighborhood to the North, the Sherwood Estates neighborhood to the South and the Lakewood neighbourhood and McCarthy Park neighborhood to the East. Development in this neighborhood was first approved around 1986. The highlight of this neighborhood (and also it’s namesake) is the sprawling and well-enjoyed Rochdale park. 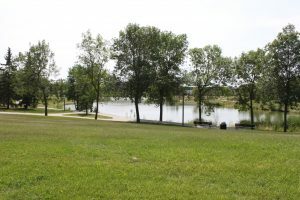 The park backs the Northwest Leisure Centre and has a small aerated man-made lake in the centre of it with loads of walking paths, benches and play structures spread throughout. All types of Saskatchewan birds love to flock here and it is not uncommon to see birds as large as pelicans swimming around or bathing in the lake! 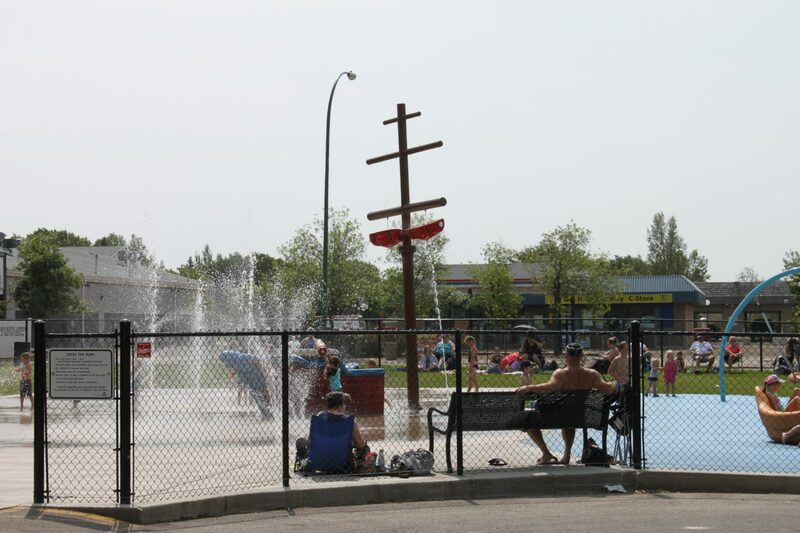 The Northwest Leisure centre has long been a main attraction in this neighborhood. Regina residents enjoy this facility year round with it’s indoor pool, gym, fitness room, and the much loved Doug Wickenheiser indoor rink. There is also an outdoor rink and an outdoor spray pad that the neighbourhood kids really love! The Doug Wickenheiser Arena was named for NHL player and Regina native, Doug Wickenheiser, who played for the Vancouver Canucks, Montreal Canadiens, Washington Capitals, New York Rangers and the St. Louis Blues. Doug died in 1999 due to cancer at the age of 37, but his legacy lives on in the arena that bears his name where generations of kids aspiring to become NHL players continue to enjoy and grow playing the game of hockey.